Early clashes in the 1850s with Native American tribes led to the establishment of the Yakima Indian Reservation just south of the city limits. Soon afterward, settlers came in earnest, having heard of the potential of the valley soil. 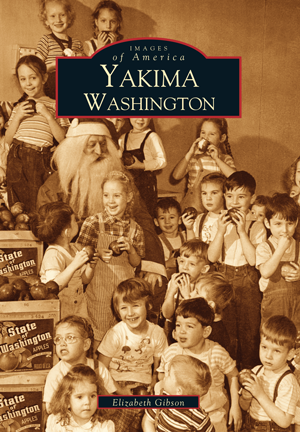 Captured here in 200 vintage images is the story of the life and times of Yakima's earliest settlers through to the 21st century. In 1884, the town attracted the attention of the Northern Pacific Railroad, which was interested in building a depot. Yakima City landowners refused to cooperate, so the railroad located its depot four miles to the north. In 1918, this new location was reincorporated as Yakima, and Yakima City was renamed Union Gap. Both attracted their share of businessmen and ideas. Frederick Mercy arrived and installed theaters in Yakima and the rest of the state. J.M. Perry, an early fruit packer and shipper, left funds to establish what would become a nationally renowned technical school. These photographs illuminate the history of Yakima's schools, businesses, churches, and agriculture. Images document the social development of the city, family photos from days gone by, the orchards that have played such a large part in the economy, and even an apple pie big enough to feed a whole crowd! The photographs in this book have been largely culled from the collection of the Yakima Valley Museum. This is Elizabeth Gibson's second book with Arcadia Publishing, following her previous title, Richland, Washington.